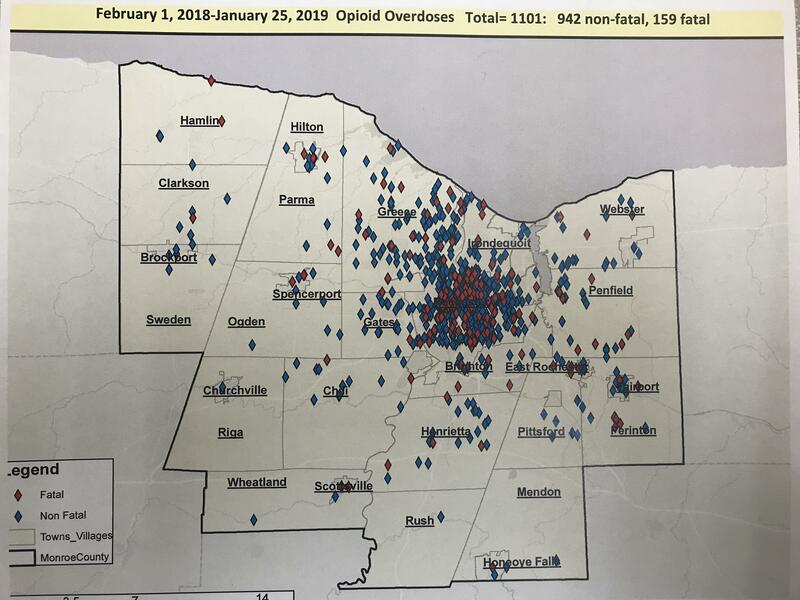 Over 1,000 overdoses have been reported in the last year in Monroe County. That’s according to the Monroe County Heroin Task Force, at their one-year progress report Tuesday morning. In the first year of the task force, ranging from February 1st 2018 to January 25th of this year, 159 of the 1,101 overdoses have been fatal. "We are in no way claiming victory. Our first goal was to wrap our arms around this problem and see if we could stabilize it. I think if we look at the numbers for 2018 for the 12-month period that we pray that we're seeing this problem stabilize. But we got a lot of work to do and we fully realize that." He also says that there needs to be more widespread education. Over one thousand overdoses have been reported in the last year in Monroe County. That’s according to the Monroe County Heroin Task Force, at their one year progress report this Tuesday morning. WXXI's Caitlin Whyte has more. "We need to be in parent teacher associations, we need to be in the union halls, we need to be in the VFWs and the American Legion Posts where 35 year olds are hanging out because that’s who’s passing away. District Attorney Sandra Doorley said a goal for her office was to hold dealers accountable. 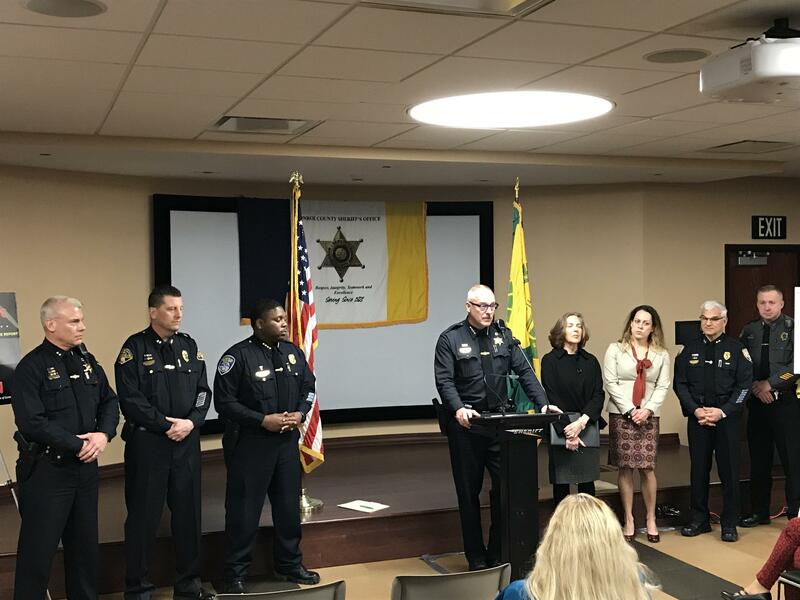 "We have been able to prosecute to date seven individuals for homicide charges be it either criminally negligent homicide or manslaughter in the second degree, for giving a substance or selling a substance resulting in death." Doorley also reported 47 indictments of drug dealers for possession and sale.